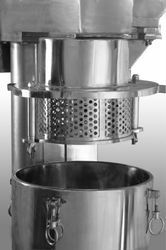 Our customers can purchase from us a wide range of Filter Sieves. These are provided with a lid and a receiver, which is suitable for 020 cm. Manufactured using superior quality brass, these are joint less and have coarse test sieves, with a G.I. frame, along with perforated round or square openings. With our vast experience knowledge in this field, we are engaged in providing a quality-assured range of Filter Sieves. - Crevice free GMP Designs. - Available in S.S 316 I Quality. - Import Substitute Designs Available. - Certified as per International Standards. - Available in Perforation & Special wire Mesh. - Available sizes as per Requirement. Galaxy Sivtek can supply specially designed screening system for Fire Cracker Industry with all required protections as per guidelines of Board of Explosive. The Contact Parts are made of non-ferrous metal and all parts are flame proof. 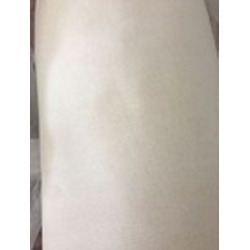 Pharma Spares are the inventors of the innovative, ‘Silicone Enveloped’ design which resulted in the highly successful ‘Lead Free Sifter Sieve’. This sieve is free from toxic Lead & Tin metals. The edge of the wire mesh is moulded in a Bio safe Toxicology tested polymer.